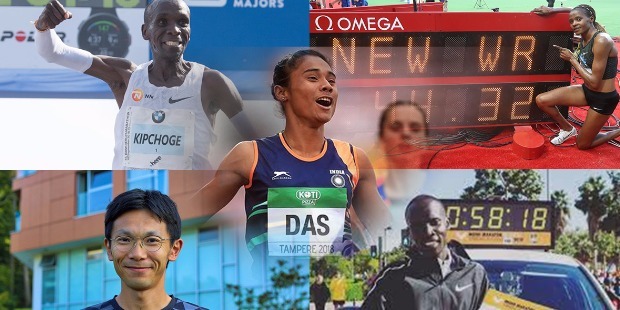 31st January 2019: The year 2018 saw some of the most astounding records broken in the world of athletics. What makes these new world records’ feats so amazing is its sheer magnitude in various events. These five dedicated and super-talented athletes trained hard and kept their focus intact with a sole aim to break the world records in their respective events. They did in great style and panache to surprise the world with their spectacular run. Abraham Kiptum, third of the four kids, was born on the 5th of September 1989 in Chepketei Kosirai Village, Kenya. He went Kosirai Primary School and attended Kipmokoch Secondary School. Under Coach Joshua Kiprugut Kemei, Abraham Kiptum trained hard to achieve a successful career in distance running. 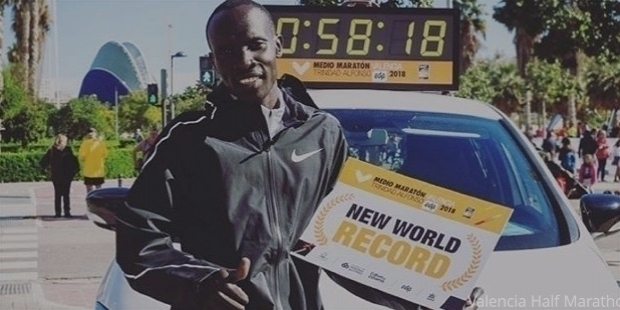 On the 28th of October 2018, Kiptum broke the previous Half Marathon World Record of 58:23, set in 2010, by 5 valuable seconds in the Valencia Half Marathon in Valencia, Spain. He clocked 58:18 to etch his name in the history books. 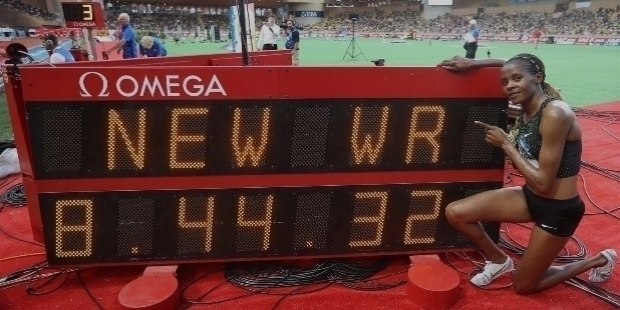 He broke Zersenay Tadese’s previous world record. It is interesting to note that Kiptum made his debut marathon debut in 2015 Rabat Marathon. He clocked 2:11:36 to win the third spot on the victory podium. In spite of his personal bests of 59:36 and 2:05:26 in Half Marathon and Marathon respectively, Kiptum was just another Kenyan distance runner. The World Record has made him a brand now. Abraham Kiptum replicated his compatriot Joyciline Jepkosgei’s feat by breaking the Half Marathon World Record. She broke the Women’s World Record at the Medio Maratón de Valencia Trinidad Alfonso. At the IAAF Gold Label road race, Kiptum ended Eritrea’s Zersenay Tadese’s long reign in Half Marathon. The race started according to the organizers’ plan. The first batch of top runners covered the first 5km in 13:56. By 10km with a slight pace dropped, only 15 athletes remained among the lead pack. Feeling fresh, Kiptum broke away from the pack and kept covering kilometer after kilometer in an amazing pace of 2:44. At the 15km mark, Kiptum was 7 seconds slower than Tadese’s world record run. Ethiopian Jemal Yimer was on Kiptum’s heels trailing by just 2 seconds, followed by Abadi Hadi. The encouraging crowds of Valencia boosted Kiptum, who pushed hard to outrun the Ethiopian runners clocking a new world record run. Kiptum covered the distance in 58:18. The course of Valencia holds both men’s and women’s Half Marathon World Records. A strong willed girl from a small village of Dhing, district Nagaon in Assam created history to become the first Indian track athlete to win the Gold medal in a prestigious IAAF World Under-20 Championships. 18-year-young Hima Das etched her name on the top of the list of Indian track athletes in history books. Hima Das has put her small village on the international map and global attention. Her magnificent achievement was hailed as the stepping stone for Indian athletics. 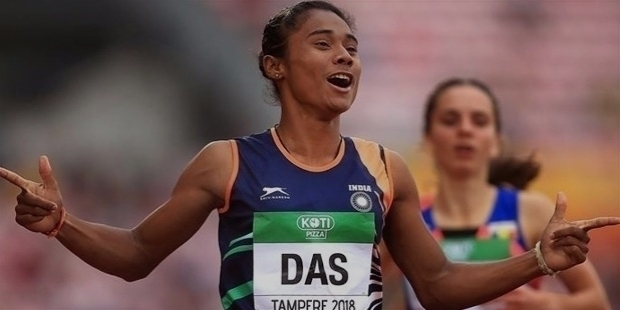 Hima Das became a legend to win the first-ever Gold medal for India in the track events in 400m in 51.46s at the IAAF World Under-20 Championships in Finland on the 12th of July 2018. Daughter of a rice farmer, Hima showed to the world, what it takes to believe in one’s dream. Unlike other athletes, Hima Das achieved this amazing feat in just 18 months. Her courage, hard work, dedication towards training and aiming big won the hearts of international media, who hailed Hima Das with unbiased praise. Needless to say, India’s track legend was born to achieve this big day. The race will never be forgotten by the athletics world. Hima Das was trailing at the 300m bend and suddenly she burst ahead of everyone with her final kick from the 80m. It was simply outstanding! As soon as she crossed the finishing line, Hima Das acknowledged the crowded stadium in joy and happiness. She shared her joy with Miklos and Manson. 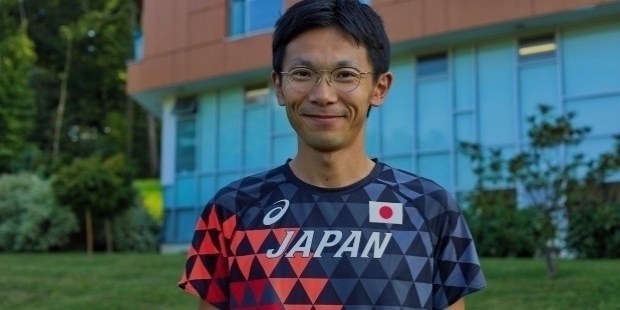 Japanese ultramarathon runner Nao Kazami was born on the 9th of April 1983 in Japan. On the 24th of June 2018, Nao Kazami created history by breaking the 40-year-longstanding 100km Ultramarathon World Record established by Don Ritchie in 1978, by 1 minute 6 seconds to clock 6:09:14 at the Lake Saroma 100km Ultramarathon. It was an amazing race in many aspects. Kazami was one among the five in the lead pack covering the marathon split in 2:33:36, on a pace for 6:04:01. Compatriots Koji Hayasaka and Takehiko Gyoba passed Kazami at the halfway mark with 30 seconds lead till the 75km mark. While the two compatriots slowed down a bit, Kazami crossed them and kept increasing the distance between them by 11 minutes. Kazami chipped the previous record by more than 4 minutes to cross the finishing line in 6:09:14. High-volume Hayasaka finished second in 6:20:49, followed by Gyoba in 6:22:55. The Japanese swept the victory podium. Japanese ultramarathoners dominated the race. Hideaki Yamauchi finished fourth clocking 6:23:49 and was followed by 5th-place finisher Yoshiki Kawauchi clocking 6:28:35. Yoshiki is Boston Marathon winner Yuki Kawauchi’s younger brother. “I wanted to break the World Record. That was the plan from the beginning of the Season. And, I was aware the biggest chance would be at Monaco, due to the weather, crowds and the whole environment. I knew, I was running fast splits. But, I was not worried. I felt strong during the race. With such amazing super confidence, Beatrice Chepkoech created history to become the women’s steeplechase legend, when she shattered to establish the new Women’s Steeplechase World Record clocking an amazing 8:44.32. She became the first Kenyan woman to hold the 3000m Steeplechase World Record. In the year 2017, Chepkoech had clocked 8:59.84 to become the third women to break the sub-9 minutes barrier after Gulnara Galkina’s 8:58.81 in 2008 and Celliphine Chespol’s 8:58.78 in 2017. In the year 2018, Chepkoech was in true form and energy. She broke the sub-9 minutes barrier four times in four consecutive races. It shows how talented, focused and determined Chepkoech is to achieve greatness in steeplechase. On the 20th of July 2018, Beatrice Chepkoech’s magnificent performance at the 2018 IAAF Diamond League, Monaco was truly a class in its own. Dominating the race from the start, Chepkoech resembled like a gazelle, swiftly clearing each hurdle with finesse and inching towards the finishing line. Her World Record-Breaking run received a thunderous applause from the spectators with a standing ovation. Raising her hand in jubiliation, Chepkoech crossed the line with a well-deserved smile. The most amazing fact of Chepkoech’s world record-breaking run is that the 27-year-young athlete had never won any international medal before this race. American Courtney Frerichs finished second clocking 9:00.85, followed by Kenyan Hyvin Kiyeng in 9:04.41. Ruth Jebet of Bahrain had held the previous World Record of 8:58.78, which she clocked at the 2016 IAAF Diamond League in Paris. Beatrice Chepkoech became the first-ever woman to run a sub-8:50 3000m steeplechase in the world of athletics. “I lack words to describe this day. I am really grateful, happy to smash the world record. They say you can miss it twice, but not the third time. So I want to thank everyone, who has helped me. I am just so incredibly happy to have finally run the world record, as I never stopped having belief in myself,” enthused an elated Eliud Kipchoge to win the 2018 Berlin Marathon for the third consecutive year and in a World Record time of 2:01:39. Kipchoge had earlier won the 2016 and 2017 editions of Berlin Marathon to complete his hattrick. He has had an amazing run in 2018. He won the 2018 London Marathon clocking 2:04:17. Kipchoge shattered the previous record by 1 minute and 18 seconds clocking an amazing time of 2:01:39. 78 second is the largest margin in the past 51 years in marathon running. Way back in 1967, Derek Clayton shattered the time by clipping 2:23 from 2:12:00 to 2:09:37. In the recent years, it has become harder for marathoners to break marathon record in spite of modern technological innovation. The determined and confident Kenyan covered the distance in a blistering pace to clock 61:06 in the first half, followed by 60:33 for his second half. It was one of the most amazing performances by any marathoner, the world had seen before. In fact, even Kipchoge was astonished at his superb form to clock 2:01:39. Dennis Kimetto was the first distance runner to run a marathon under 2:03:00. Kimetto had established the World Record in the 2014 Berlin Marathon edition, clocking 2:02:57. Kipchoge’s Coach Patrick Sang was waiting for his legendary pupil with open arms at the finishing line. Happy and filled with joy, Kipchoge ran straight into his Coach’s arms. The two celebrated the World Record feat as the world cheered the super athlete. Coach Patrick Sang had really worked hard on Eliud Kipchoge to prepare for the world record run. As a devoted pupil Kipchoge did not disappoint his Coach. The pacemakers did a wonderful job to lead Kipchoge through 25km. 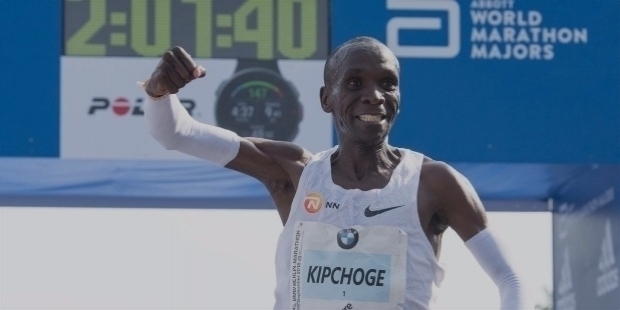 In superb form and determined, Kipchoge showed no sign of slowing down his pace as he broke Wilson Kipsang. Eliud Kipchoge is now eyeing to attempt for the second time towards the next out-of-this-world record to run a ‘Below 2 hours’ marathon. His greatness can be measured with his track records. He has won 11 out of the 12 marathons, Kipchoge had competed. In just five years, since his entry in the world of marathons in 2013 in Hamburg, Germany – Eliud Kipchoge has won the ‘World Marathon Majors Series’ runs in 2014 Chicago, 2015 and 2017 Berlin and 2015, 2016 and 2018 London. With amazing technological innovation in marathon running, breaking the 2-hour barrier still seems to be beyond outstanding athletes of the world. The quest is continues. Many believe the 2-hour barrier will be broken by none other than Eliud Kipchoge. His World Record of 2:01:39 may stand for a long-long time to be broken by other distance runners.